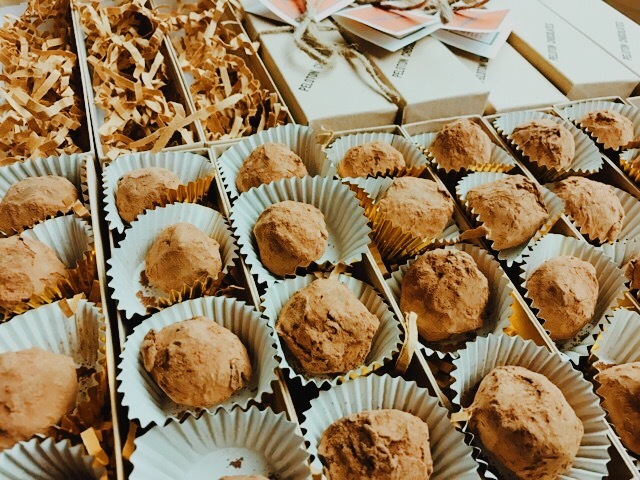 Peloton Culinary’s TCHO chocolate truffles have been a client favorite for sometime now. They pair very well with big, bold red wines, and they are the perfect treat for after dinner or as a gift for your bridal parties. 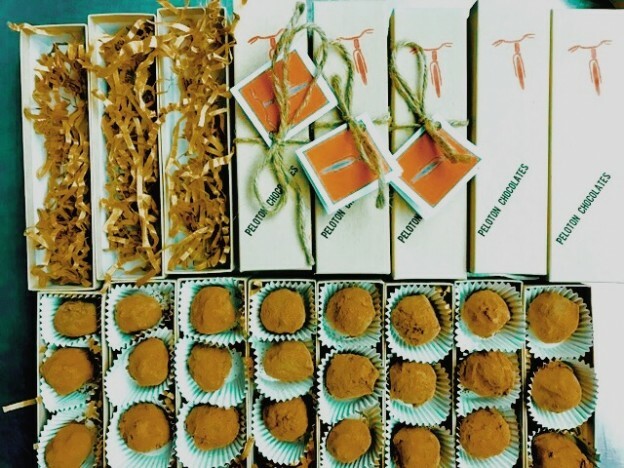 Ask about these chocolatey treats for your winery retail shop, to sell in your brewery taproom, or for an event you are planning. This entry was posted in Blog: The Peloton and tagged Bay Area Chefs, Beer Country Chef, Brewery Chef, Chef, Chef Life, Chefs of Sonoma County, Craft BEer, Culinary Events, Destination Wedding, Dinners, Events, Farm-to-Table, Food, Foodie, Menus, Napa County Wedding, North Bay, North Bay Chefs, Patrick Tafoya, Rehearsal Dinner, Sonoma Chef, Sonoma County, Sonoma County Wedding, Sonoma Magazine, Tim Vallery, Weddings, Wine, Wine Country, Wine Country Chef, Wine Country Events, Wine Country Rehearsal Dinner, Wine Country Wedding, Winery Chef, Winery Events on January 8, 2017 by Chef. Chef Tim Vallery of Peloton Culinary & Catering will your create a custom menu for your event that will meet your budget and exceed your expectations. Peloton is local and we support local. Each menu is unique and created for your event. Chef Tim will use the best seasonal ingredients wine country has to offer creating dishes that are as stimulating to the eye as they are to the palate. We use ingredients within the 100 mile radius. Whenever possible, we source right from our backyard- supporting local farmers and producers to bring the most elegant and unique farm-to-table meals to our clients, for the ultimate wine + beer country experience.